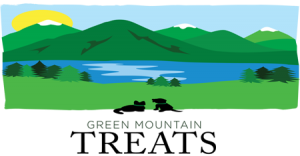 Robin Hamblin and her son Kenny are the proud owners of Green Mountain Treats. They offer quality all-natural dehydrated chicken liver Treats that dogs and cats love. Their mission is to make pet owners aware of what there feeding their pets. As proud pet owners themselves, they know and understand the importance of knowing what food is fed to ones furry family members. All the products that Robin and Kenny make they truly stand behind and hope you realize how great and healthy the treats are for pets. They have been proud residents of Vermont for a very long time and we are very active and enthusiastic about all products made from this great state! Hence, when the opportunity came to start this company it only came naturally.